The so-called “meaningful vote” will take place later as five days of debate on Brexit come to an end. 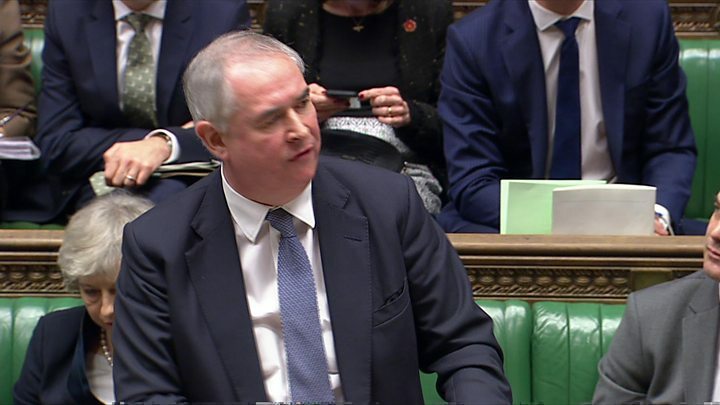 Attorney General Geoffrey Cox has opened the last day of debate, with Mrs May due to close the debate with a speech from about 18:20 GMT. He called on MPs to recognise the “value of compromise” and “opt for order [over] chaos”. 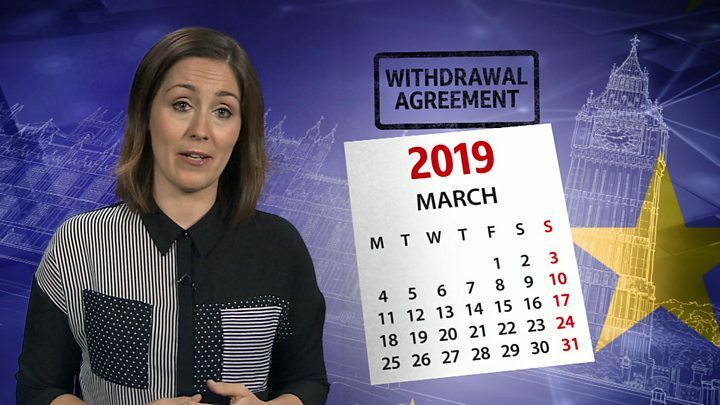 Voting will start at about 19:00 GMT, starting with votes on three or four backbench amendments that could reshape the deal and then the vote on the withdrawal agreement itself. 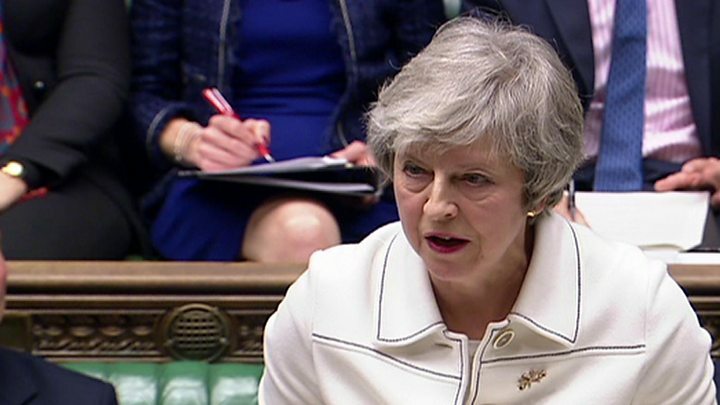 The prime minister addressed her cabinet on Tuesday morning, after she attempted on Monday evening to win Tory MPs’ support for her deal – which includes both the withdrawal agreement on the terms on which the UK leaves the EU and a political declaration for the future relationship. She pointed to new written assurances from the EU that the contingency customs arrangement being proposed would be temporary and, if triggered, would last for “the shortest possible period”. In an impassioned speech in the Commons, Mr Cox said voting for the deal today was “the first of two keys that will unlock our future with the European Union”, allowing the government to focus on the future relationship. 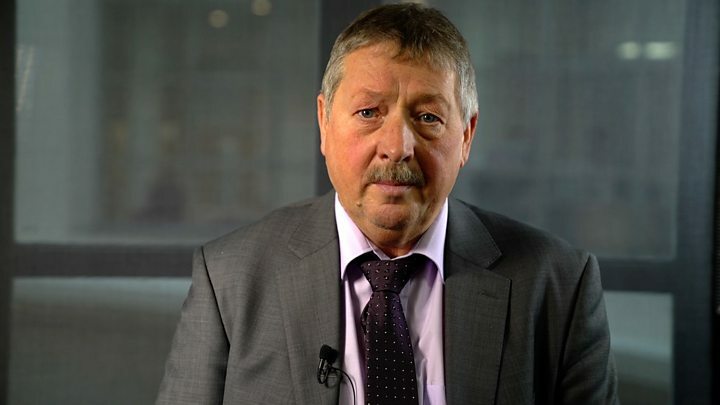 He said that MPs could not underestimate the complexity of Brexit and that the deal offered an “orderly, predictable and legally certain” way of leaving the bloc, without “thousands” of legal issues arising for citizens and businesses. “If you found yourself suddenly with the rug pulled from under you, not knowing what your legal obligations would be, you would say to this House, ‘What are you playing at? What are you doing? “You are not children in the playground, you are legislators, and it is your job. We are playing with people’s lives,” he said. Environment Secretary Michael Gove told BBC Radio 4’s Today programme that rejecting Mrs May’s deal would lead to a no-deal Brexit with short term economic damage “or worse, no Brexit at all”. He said with this deal “we’ve picked a whole bowl of glistening cherries”, despite the fact the EU had said at the beginning of negotiations that there would be no “cherry picking”. “If we don’t vote for this agreement then we risk playing into the hands of those who do not want Brexit to go ahead,” he said. But many Tory MPs and the Democratic Unionists remain opposed to the deal. About 100 Conservative MPs – and the Democratic Unionist Party’s 10 MPs – could join Labour and the other opposition parties to vote it down. Former Brexit secretary Dominic Raab said that Brexiteers like him could back a deal if aspects such as the backstop were dealt with. He told the Today programme the EU had played “a smart game of hard ball” and said it was time for the UK to do the same. Democratic Unionist leader Arlene Foster said the backstop “was something that we could not accept” and her party’s MPs will be voting against the deal. 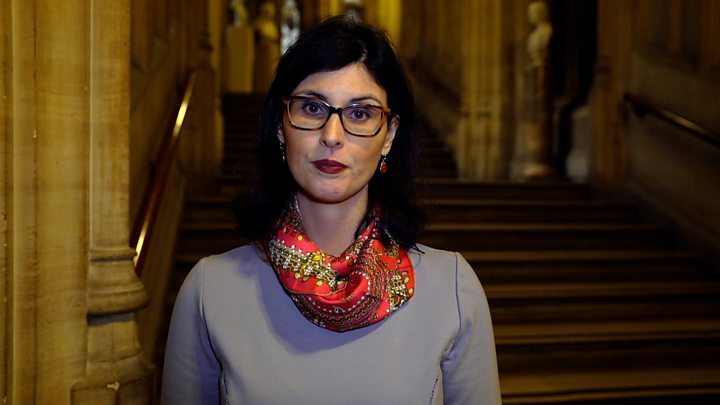 “It (the backstop) does violence to the union – it separates us from the rest of the United Kingdom in a very very obvious way,” she said, calling for Mrs May to “get rid” of the backstop. And speaking during the Commons debate, the leader of the SNP at Westminster, Ian Blackford, reiterated his belief that there was “no such thing as a good Brexit” and his party would continue to fight against leaving. The EU’s chief Brexit negotiator, Michel Barnier, also appealed for MPs to “keep calm” when voting later. However, five Conservative Brexiteer MPs who have been critics of the withdrawal agreement have now said they will support the government, along with three Labour backbenchers and independent Frank Field. Brexit Secretary Steve Barclay said it showed there had been “progress” but admitted to the BBC’s Politics Live that gaining support was “challenging”. Speaking to his own backbenchers on Monday night, Labour leader Jeremy Corbyn again condemned the deal and reiterated his call for a general election if it is voted down by Parliament. He also promised Labour would call a no-confidence vote in the government “soon”. And when asked what the margin of defeat could be for Mrs May, former Downing Street director of legislative affairs Nikki da Costa told Today she expected it to be within the “50 to 80 mark”. A number of amendments to Mrs May’s deal have been put forward – including proposals to give MPs a vote on whether to implement the backstop and putting a time limit on it. The Commons Speaker, John Bercow, will decide which amendments will be voted on just before the vote on the deal itself. If the deal is rejected by MPs, Mrs May has three sitting days to return to Parliament with a “Plan B”. A "no-deal" Brexit is where the UK would cut all ties with the European Union overnight.